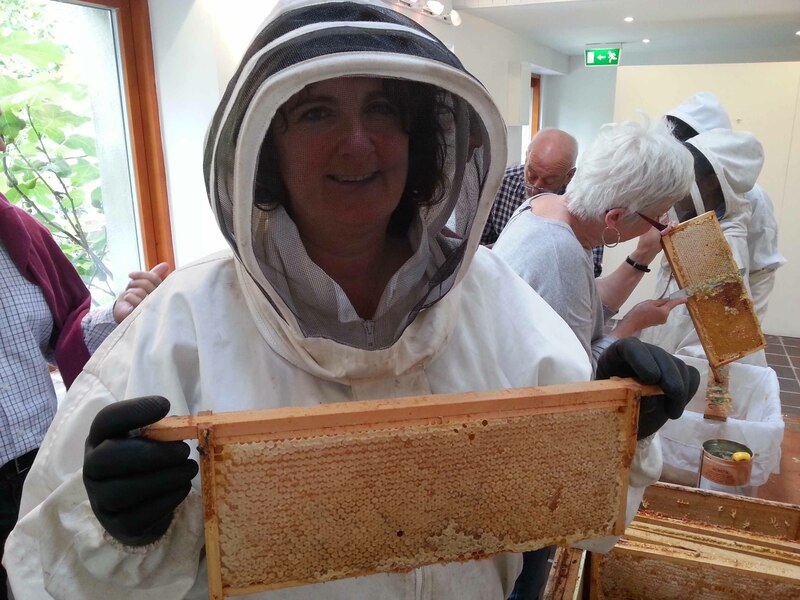 Back in May I mentioned new structures that were being added to the Goresbridge garden and how gardeners can be great at reusing and recycling in general. 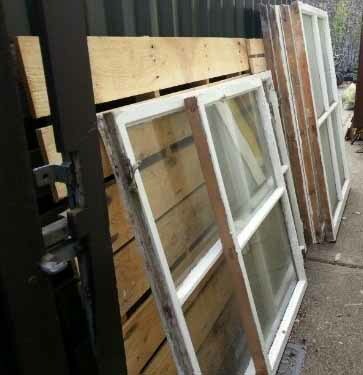 A villager had donated several old windows to the community garden and they were propped up waiting for some magic to happen (or an enthusiastic diy’er to get hold of them). Last week we arrived at the garden and the transformation had taken place, Brian and James had been busy turning two of the window frames into a made to measure cold frame that will fit perfectly against a sunny wall in the corner of the garden. Are you a fan of cold frames? We’ve been planning one for our own garden for a long time but the ongoing house renovations are taking priority. Luckily we have the polytunnel which offers protection for plants but if you don’t have a greenhouse or tunnel, a cold frame might be for you. Usually made of wood or bricks with a glass top, cold frames are a great way of extending seasons, allowing you to garden for 365 days of the year. They create micro climates, protecting plants from adverse weather and are useful for hardening plants off, allowing seedlings that have been grown indoors or in greenhouses to acclimatise before being planted outside in the garden. Cold frames come in all shapes and sizes but the common theme is that they’re low to the ground and the lids can be opened and closed to allow airflow, acclimatisation and watering. 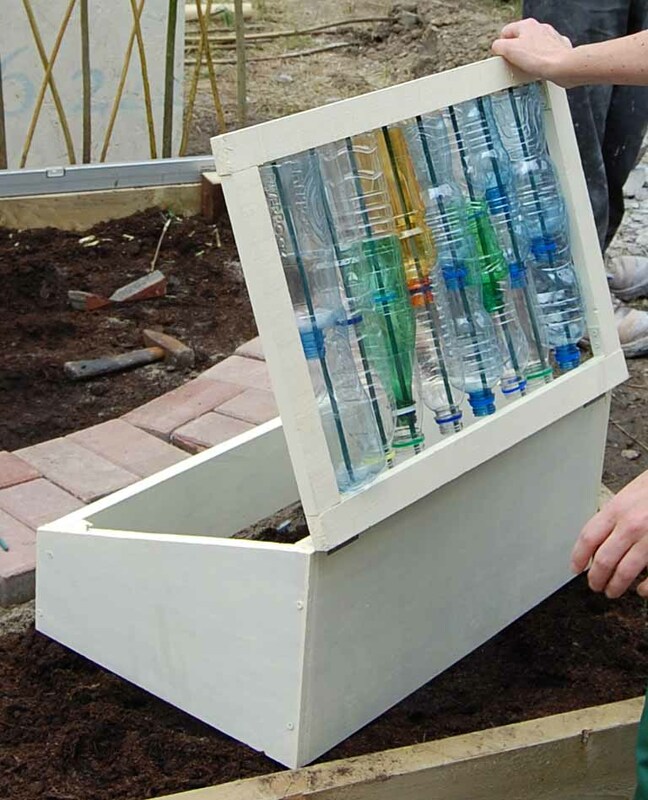 The mini cold frame designed by Sandra for the Community Garden Network garden at Bloom was a particular highlight as it showed yet another example of reusing plastic in a useful and practical way. In Goresbridge the community garden polytunnel is full to capacity with tomatoes, peppers, herbs and squash with barely any room for anything else. 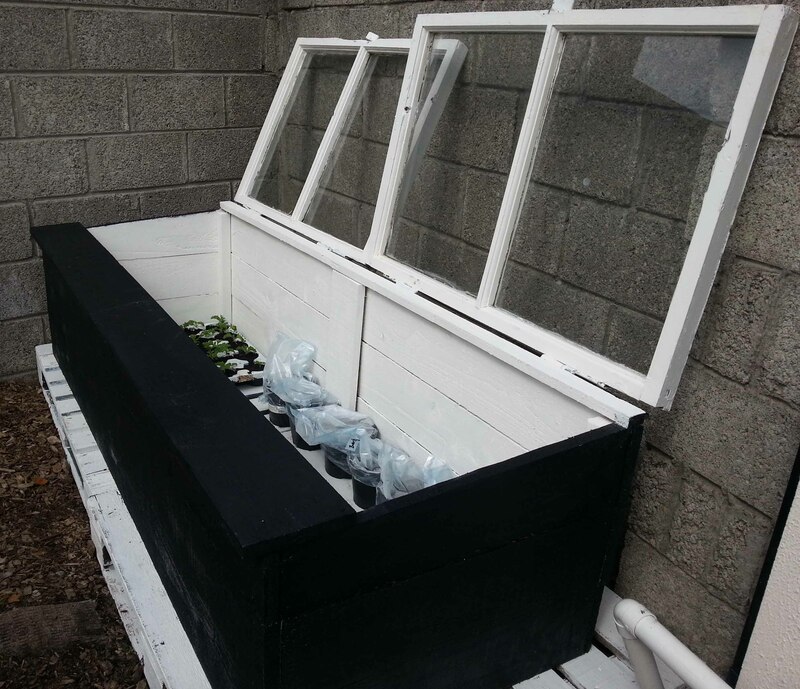 We’ll be putting the cold frame to immediate use by growing some lambs lettuce, oriental leaves and chard in it that has just been sown into modules, along with lavender and rosemary cuttings taken this week. If you’d like to have a go at making your own cold frame take a look at this video from Gardenfork.ie giving clear instructions how. You may find it useful. Great post Dee, inspiring me to get the ones I have piled up at the back of the house in use.